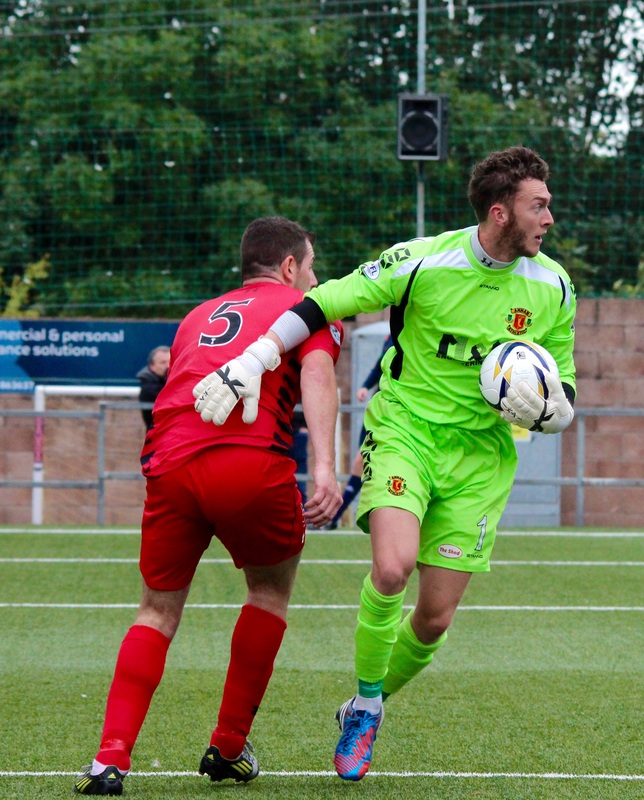 After a gruelling trip to The Highlands Annan Athletic had to settle for a 0-0 draw against bottom placed Elgin City at Borough Briggs on Tuesday evening, a win for the black and golds would have seen Annan enter the top four for the first time this season. The game could have went either way with both sides enjoying sustained periods of pressure. The credit in the game went to both goalkeepers who amazingly kept clean sheets with tremendous saves. Annan started with same eleven who had won that heroic victory against Championship side Livingston 3-2 in their last outing in the Scottish Cup a week past Saturday. However, both teams struggled to put an early stamp on the game, but it was Elgin who began to take the game to Annan. Daniel Moore’s corner was headed just wide by the head Duff. Just moments later though, it took an excellent near post save by Michael Fraser to tip Peter Weatherson’s header over from David Hopkirk’s delivery. The hosts were given the ideal chance to break the deadlock on 28 minutes, when Gunn’s flick towards goal struck the arm of Annan defender Peter Watson. 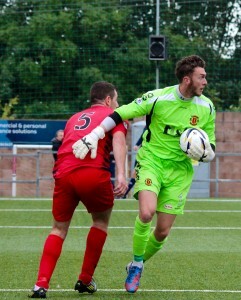 However, Gunn’s subsequent penalty was well saved by keeper Alex Mitchell, who correctly dived low to his right. Elgin keeper Fraser had to show sharp reflexes again on 35 minutes, as he stooped low to claw Matthew Flynn’s shot away following Hopkirk’s cross. The ball eventually fell to Steven Black, whose thundering shot was blocked by the City defence. Annan started the second half in the ascendency with David Hopkirk a continuous threat on the right flank, despite this it was from the left wing that Steven Sloan was neatly teed up by substitute Josh Todd, before firing into the near side-netting. Just moments later the impressive Fraser once again came to City’s rescue again, when he palmed away Todd’s snapshot. Sutherland had another chance to put Elgin ahead on 63 minutes, but nodded over. However City came even closer when Mitchell spilled Gunn’s corner, with Nicolson’s volleyed effort cannoning off the face of the crossbar. With time running out Sutherland saw his half-volleyed effort somehow palmed away by Mitchell, with both goalkeepers in such splendid form referee Gavin Ross blew full-time. Annan: Mitchell, Black Chisholm, McNiff, Watson, Sloan, Flynn (Todd – 57mins), Logan, Weatherson, Hopkirk, McColm (Omar – 80 mins). Subs Todd, Omar, Subs not used –Brannan, Davidson, McStay, Gemmell. Ref: Gavin Ross. Assistant Refs: Alistair Mather, Chris Fordyce.